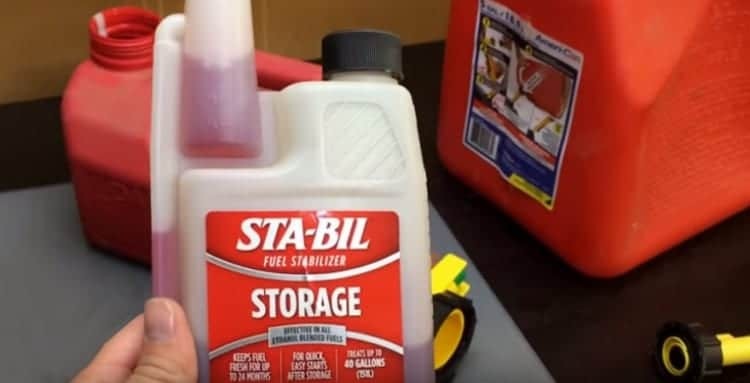 Best Fuel Stabilizer For Small Engines Review: Top-5 in April 2019! Which Fuel Stabilizers For Small Engines Are The Best? Fuel is organic, it breaks down over time, and according to certain sources, the fluid that stands for 30 days starts to spoil, unless it is stored in an airtightly sealed environment. All vehicle systems are not airtight, the fuel tank is not airtight, nor is the engine. In fact, an engine cannot be airtight since it requires air to work properly. As such, companies invested in research to find ways to prolong the life of fuel in a vehicle system. Fuel stabilizers is an additive solution that is poured into the fuel tank with the fuel, and it provides a number of functions. It starts off by providing a top layer of protection from the fuel from the air, and it bonds with the fuel to prevent it from evaporating, as well as stopping it from degrading, which creates small beads of resin that can gunk up a carb. Chemically, stabilizers are made of lubricants and anti-oxidants, and each manufacturer has their own formulation and most use similar components but in different mix percentages. You don’t really need to use a stabilizer on a daily basis; these are additives for what are termed seasonal vehicles and classic motors. Which means that they will stand for months at a time between drives. As such, the fuel in the tank needs protection, and that is when you add a stabilizer. When adding fuel stabilizers consider that every product is different and requires different methods of application. It’s not just pouring some into the tank. Read the instructions carefully and apply according to the instructions. There are different mix levels for different fuels and amount of fuel in a tank. After you have added the stabilizing liquid, run the engine for a few minutes so that the fluid coats the engine internals. After this, you can turn the engine off and let your vehicle stand; it is now protected and so is the fuel in the tank. Now let’s take a look at the five top-rated fuel stabilizers for small engines on the market today. 5. Motor Medic M5808/6 One Each, 8 oz. The STA-BIL Storage Fuel Stabilizer 22214 is a comprehensive solution for long-standing fuel and is designed to mix with the fuel and prevent the formation of gum, varnish, rust, and corrosion. This mixture eliminates the requirement to drain your 2 or 4 cycle engine fuel. This product, the 22214 is used to protect engines and fuel systems that will stand for more than 30 days and will keep your fuel from degrading for 24 months. The 22214 works best with gasoline blends, including Ethanol-blended fuel, up to E-85. You add 1-ounce (30-milliliter) per 2½ gallons (9.5-liters) of fuel. After adding the stabilizer fluid, run the engine for 5 minutes. This is a great additive for collector cars that sit for months without ignition. 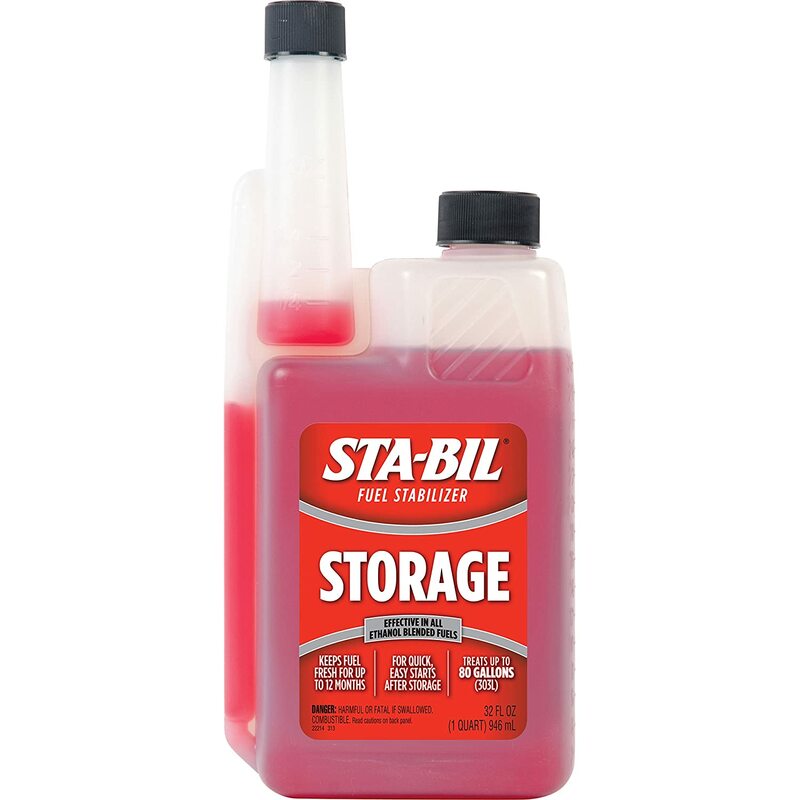 The STA-BIL brand is also one of the leading brands of fuel and engine additives in the USA. This is the STA-BIL 22275 which is designed to add 360o performance protection for an entire engine system using its vapor technology. 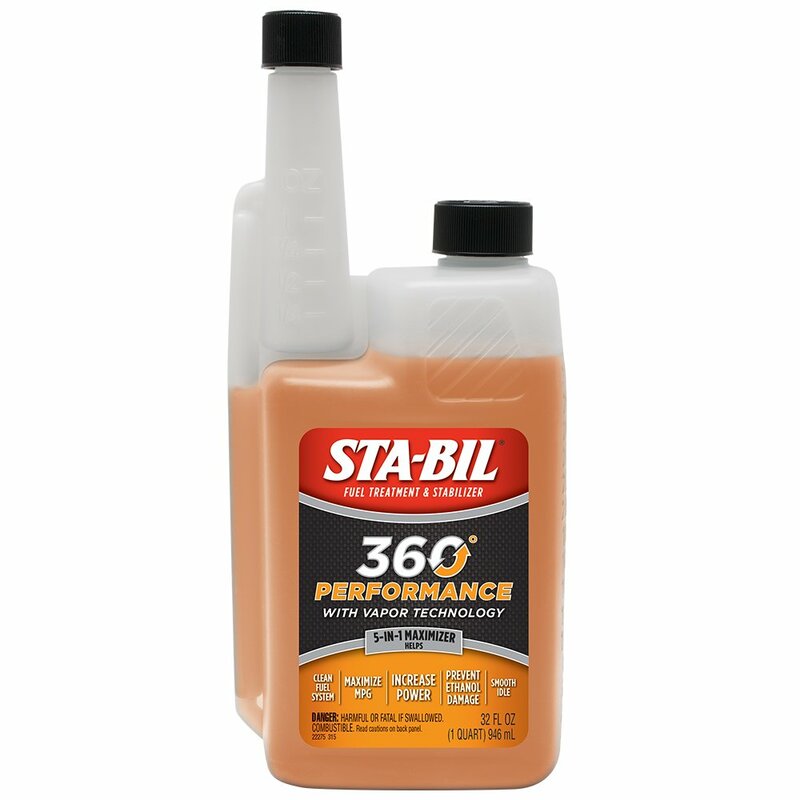 STA-BIL 360 Performance has been created and patented from a comprehensive protection performance. This is the only vapor action stabilizer on the market today and outshines all other products with its comprehensive integrity. The added chemical component converts to vapor when the engine is run for a few minutes, and this vapor coats all the areas that the fuel has not reached. As such, you end up getting a protective coating in every section of your engine and its components that provides perfect protection for your classic cars and engines that stand for longer than 30 days at a time. Add 1 ounce (30 milliliters) per 5 gallons (19 liters) of fuel, and run the engine for 5 minutes. Stabilizes fuel to keep it fresh during storage. This is the ultimate in engine protection during storage, it doesn’t get more comprehensive than this formulation and as such, is the best solution for your extremely expensive or rare classic applications. 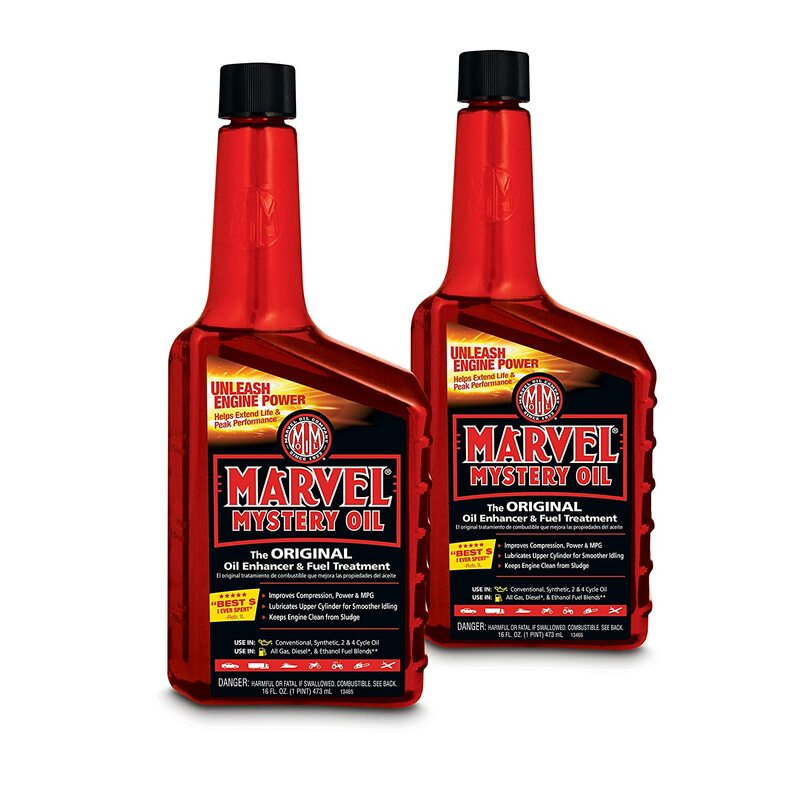 This is the Marvel Mystery Oil 50721, stabilizer and lubricant for carbs. 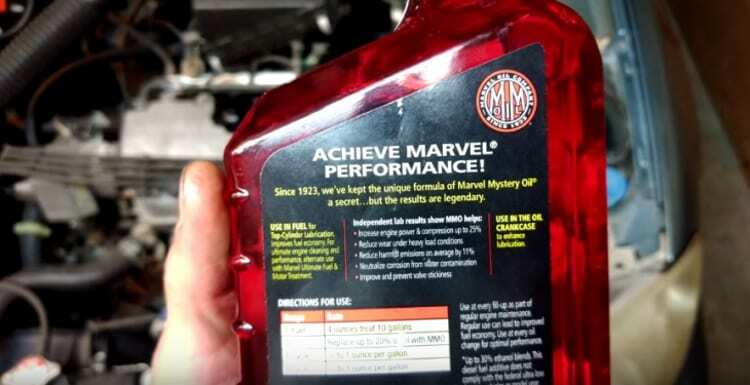 The Marvel Mystery Oil formulation was introduced back in 1923; it was developed to combat the constant damage caused by poorly refined fuel during the early motor days. Over time the formulation improved and it was used by the SU Military, Airforce and Navy during WWII for just about every gasoline engine that was produced. This engine stabilizing and protection oil is added to the engine oil and not fuel, it mixes as 20% Mystery Oil to 80% Engine Oil and then works to protect your engine as well as add a stabilizing quality to your fuel performance. This oil is used with all mineral and synthetic oils and for 2 and 4 cycle engines. This is a classic engine oil additive that also performs a stabilizing duty while driving. As such. It’s a great hybrid for use in conjunction with a fuel stabilizing fluid. This is the Star Tron Enzyme Fuel Treatment fuel stabilizer and treatment formulation. Star Tron is a =n organic mix of chemicals that are used as both a fuel stabilizer as well as a fuel protector from sludge and water accumulation. This brand will enable you to start any engine immediately, even after standing idle for months or years. 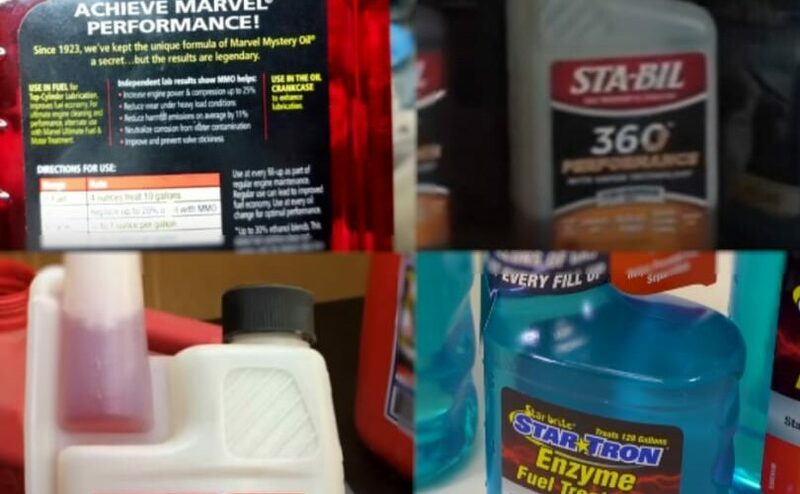 Star Tron breaks down the water and sludge that grows in ethanol fuels, and when the engine is started again, the fuel is ready for use without any issues, burning any impurities away without leaving any excess deposits. When added to the fuel, Star Tron also acts as a performance additive, and increased the quality of the fuel burn, reduces the effects of gum and varnish particulates and leads to a uniform and stable ignition. You add 1 fl. oz. (30 ml) for every 8 gallons (30 L) of gas, and you refill 1 fl. oz. (30 ml) for every 16 gallons (60 L) of gas. This is a classic stabilizer blend that is used in many applications from snowmobiles to outboard motors, as well as classic cars that stand for months without use. This is the Motor Medic® M5808/6 stabilizer fluid for many applications. The Motor Medic® 8 fl. oz. Fuel Stabilizer is used to handle up to 35 gallons of fuel. This is a highly concentrated formulation that works with all 2 and four cycle engines, and is an additive to gasoline, fuel/oil mixtures, gasohol, oxygenated fuel, kerosene, and diesel fuels. This brand does not contain any alcohol, and it improves protection and performance for all fuels that stand up to 24 months. You add 1 ounce per 2.5 gallons of fuel. 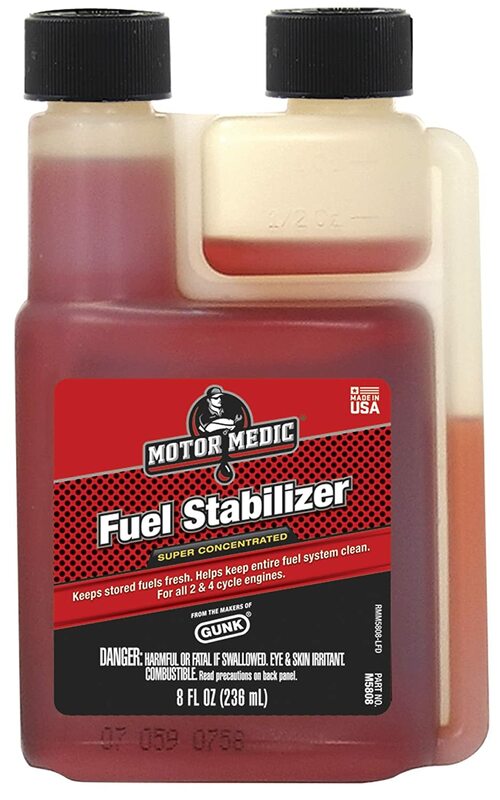 Motor Medic is a great fuel stabilizer brand and is found in many applications all over the USA; it is perfect for all types of gasoline engines.